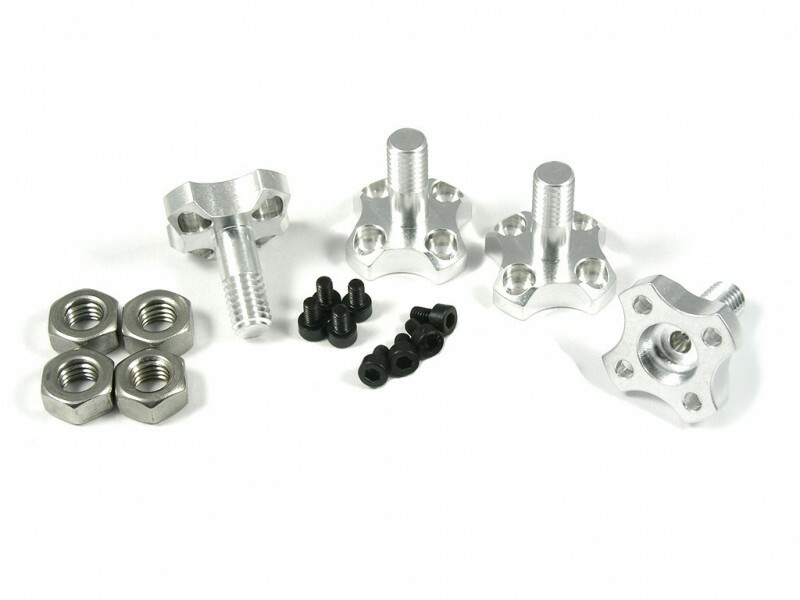 Our Traxxas Aton 6mm Propeller Adapter sets are CNC machined from billet aluminum. These adapters will bolt on to the stock TRA7934 motors allowing for a large variety of aftermarket propellers to be used. 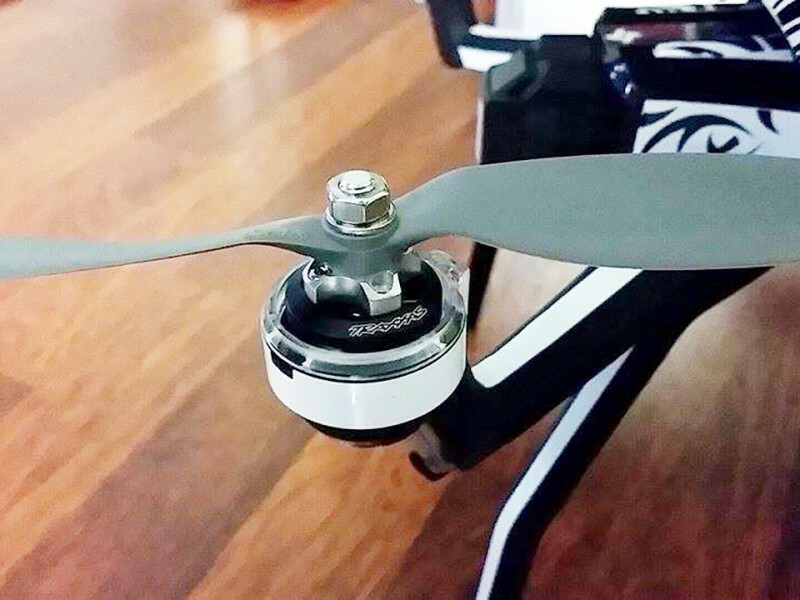 They have a 6mm propeller shaft which can be used with the traditional style quadcopter propeller sets. The adapters are very strong and light. This design keeps the propeller very close to the motor to maintain stock flying characteristics. Replacing the stock propellers with a good quality aftermarket propeller will give you the confidence needed for worry free flying. This set includes 2 right hand thread adapters and 2 left hand thread adapters. Each propeller will be self tightening while the motor is powered. Installation is quick and simple. No modifications necessary. Install prop adapter onto stock TRA7934 motor using the supplied M2.5 x 4mm socket head screws. 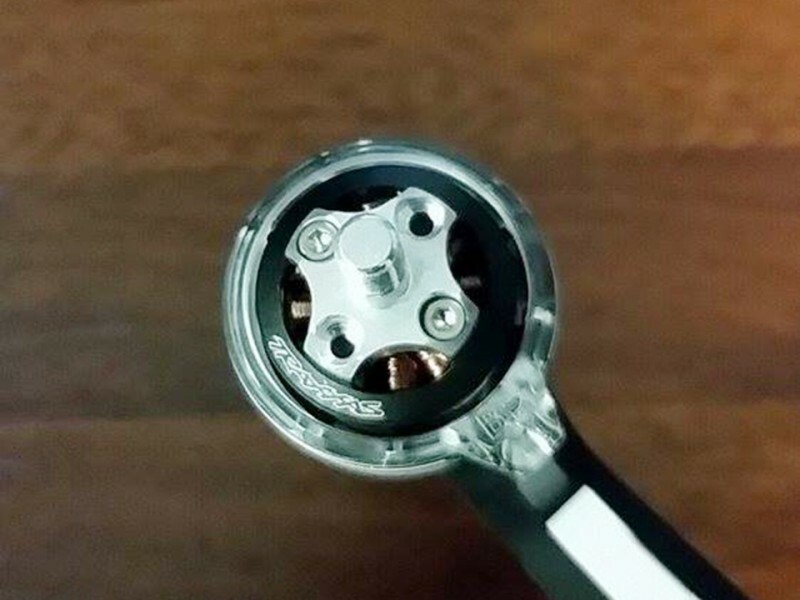 Install propeller onto adapter followed by the M6 washer and tighten with the M6 Hex Nut. DO NOT USE ORIGINAL PROPELLER SCREWS TO ATTACH ADAPTERS. THEY MAY BE TO LONG AND CAN CAUSE DAMAGE TO THE MOTOR. When replacing props it is recommended to check the current (amp) draw with a watt meter so the motor or ESC amperage rating is not exceeded. Using aftermarket props with the same diameter and pitch of the original props is recommended if a watt meter is not available. Adapter screws should be checked and tightened as necessary. A drop of blue (removable) loctite can be applied to the 8 screws before installing the adapter.